This is an interview of Hawkins Cheung by Robert Chu and published Inside Kung-Fu magazine in November 1991. Beginning in November 1991, Inside Kung-Fu published the following four-part interview with Hawkins Cheung. The articles detail his history of growing up in Hong Kong with Bruce Lee, learning Wing Chun from Yip Man, and it trace Bruce’s development of his own technique from Wing Chun principles. Hawkins Cheung began his training in 1953 under the late grandmaster Yip Man. He attended high school with the legendary Bruce Lee and during evenings, the two would diligently practice wing chun together. To gain combat experience, they would engage in challenge matches; when they didn’t have opponents to fight, they fought each other. They were later separated when Bruce went to college in the U.S. and Hawkins attended college in Australia. Throughout the years, the two kept in touch through letters and phone calls. Bruce would detail his martial arts development through their conversations and correspondence using Cheung as a sounding board. Hawkins Cheung is one of the few individuals who experienced the progression that Lee went through in his martial art development from wing chun to Jun Fan to jeet kune do. The two were reunited in Hong Kong in 1970, when Lee returned home to make movies. The two shared and exchanged fighting experiences and training methods. They remained in close contact until Bruce’s death in 1973. Hawkins also is well schooled in other martial arts styles. He is particularly skilled in the Wu style of tai chi but he is familiar with the Yang, Chen and Sun styles as well. Master Cheung has also gained experience in Japanese karate-do and currently holds a fourth-degree black belt. In 1978, Cheung immigrated to the U.S. to promote wing chun. He is currently head instructor of the Hawkins Cheung Asian Martial Arts Academy in Los Angeles. He has appeared in several issues of Inside Kung-Fu magazine, given numerous public demonstrations, and appeared on television. He has always been low key about his relationship with Bruce Lee. Now that his friend has died, he finds that many of Bruce’s followers are distorting the real meaning of his jeet kune do. In this four-part series on Bruce Lee and jeet kune do, Cheung examines Bruce’s development, from his early days in Hong Kong to his final days as a film star, his creation of JKD, and the characteristics of the now-famous art. Hong Kong in the l95Os was a depressed place. Post-World War II Hong Kong had suffered from unemployment, a poor economy, over-crowding, homelessness, and people taking advantage of each other. Gangs roamed the street, and juvenile delinquents ran rampant. I met Bruce in intermediate school; he had been expelled from the famous European LaSalle Intermediate School to the Eurasian Francis Xavier Intermediate School which I attended. I used to make fun of him and call him “Bad Boy” because he was expelled. That was the beginning of our friendship. There was a real political situation in 195Os Hong Kong. The British led the colony and would sometimes treat the Chinese like dogs. Bruce wasn’t a big star then, he was just an ordinary guy. We started to learn wing chun to survive. When we weren’t fighting others, we fought each other. We would argue about our wing chun training, and would argue about our personal experience and knowledge. Everyone wanted to be top dog. We would purposely hold back information that we gathered. Everyone had to find his own source, and not let the others know what we learned. We would purposely hide a trick that we would get from Yip Man, the Seniors, or friends from other styles. We weren’t concerned about how good the gung-fu looked, just whether it worked. Everyone wanted to know how to get the job done.We were good buddies. We wouldn’t openly share our knowledge, but we tried to steal each other’s card. Whenever we learned a new method or technique, we would add it to our repertoire. Bruce would use a new trick on me, the next time I would throw it back to him first. We always asked ourselves where was the other’s source? Against outsiders we were allies, but with no one to fight against, we fought each other. To test and see Bruce’s skill, I would purposely instigate or set up a fight. I would watch Bruce fight, and be a bystander to see how well he did. He would do the same. If he won, we would laugh; but if he lost, he would lose face and work harder to find a better means of beating an opponent. We would play tricks on our opponents to psyche them out, sometimes hiding our best techniques. What someone would throw to us, we’d throw the technique right back to him. Our competitive spirit was not only in martial arts, but extended in daily life. Everyone knew that Bruce was good at dancing the cha-cha. At school, I knew some Filipino friends who were pretty good too, so I would pick up steps to show up Bruce. The next time I saw Bruce, he had a bunch of new steps! I questioned my friend to see if he had taught Bruce those new steps, but he denied any knowledge. I later found out that he went to my Filipino friend’s dance instructor to learn more steps! That was our character—to always look for a new source. I later went to the same dance instructor and tried to persuade him not to teach Bruce. William Cheung and Wong Shun Leung were Bruce’s source of information on wing chun. They were our seniors, but we couldn’t openly let them know what level we were at for fear they wouldn’t show us more. If a senior got into a street fight, however, and lost, we could find out his standard. If we couldn’t figure out a problem, we would have to ask the old man (Yip Man) from different angles. When we matured, we began to share more openly. I lived a couple of blocks from Bruce. Being from well-to-do families, we would sometimes have our driver pick up one another, if we wanted to hang out we would sometimes spend a weekend at each other’s home. When we had final exams, we would study together. We still kept up our old game. We would play tricks on an unsuspecting participant, one guy playing “good guy,” the other being the “bad guy.” One time, we persuaded two younger European classmates to fight each other. They were a grade younger than us and were good friends. Bruce and I separated them, and to find out who was the better instructor, we each picked one and trained him to beat each other up. Bruce’s nickname at school was “Gorilla,” because he was muscular and walked around with his arms at his sides. Everyone feared him, but I was the only one who called him “Chicken legs.” He’d get really mad and chase me all over the school yard. Our friendship was very close. Our school was the best in soccer, but Bruce and I never participated in any team sports. One day, there was an announcement that there was an inter-school boxing championship. The all English Saint George Intermediate school held the championship. Our school didn’t have a boxing team. Someone in our school suggested that we get a boxing team together. We had a reputation in the school as being the naughtiest, so someone suggested that Bruce and I get involved. The night of the match, I went into the champ’s dressing room. He was my friend’s brother. Bruce was supposed to face him. I spoke to the champ and warned him that he was facing the Gorilla now, who was an expert in gung-fu, not boxing, so he’d better watch out! The champ was intimidated, because he heard that Bruce and I practiced gung-fu together. Bruce, on the other hand, was concerned that we never boxed before. At the beginning of the fight, Bruce attacked his opponent from the inside with a tan da and cut to his opponent’s center. The champ was psychologically unbalanced, while Bruce continued to use tan da with a follow-up of straight punches to the champ’s face, and blew him out. Bruce won the championship! Bruce said that his father would support him and pay for his expenses in the U.S., but he wanted to be independent. To make money on the side, he said he would teach wing chun. I replied that he didn’t have much to teach at that time; we had both only learned up to the second wing chun form, chum kiu, and 40 movements on the dummy. We had a friend whom we called “Uncle Shiu” (Shiu Hon Sang), who taught northern styles of gung-fu. Bruce thought it would be a good idea to learn some of the more pretty, showy styles before he left. Bruce learned northern style for showmanship. In the late 195Os, Bruce had already planned to hide his art. Many were looking for the showmanship, not the killer. Bruce would give them what they wanted. We went to Uncle Shin’s gung-fu club at seven every morning. We began to learn lam ad (a basic northern style gung-fu set). I hated master Shin’s dog, and his dog hated me equally, as he would bark at me every time I visited. Finally, the early mornings and the loud dog made me drop out. Bruce continued for two months more and learned gung lik kuen (training power fist set), bung bo kuen (a basic praying mantis set), and jeet kuen (quick fist), all northern style sets. Prior to any Hong Kong resident leaving for a new country, you had to check with the police station to make sure your record was clean. Bruce applied for this certificate, and found that our names were on a blacklist of known juvenile delinquents. He called me at home. “Hawkins, big trouble,” Bruce exclaimed. “Our names are on a known gangster list. I’m going down to the police station to clear my name, and while I’m there, I’ll clear yours, too.”, I thanked him. A few days later, a police investigator came to my house and questioned me about gang relations. Bruce’s efforts to clear me actually got me more in trouble. My father had to pay off this investigator to have my name wiped from the record, or else I wouldn’t have been able to attend college in Australia. I hated Bruce for that! The day he left, I escorted him to the dock. After many years of being as close as twins, we would be apart for the first time. It would be many years before our paths would again cross. He told me to carry on with wing chun and not to give up. Actually I didn’t have the time to give up my wing chun. I arrived in Sidney, Australia, in the late 195Os. Just 14 years after World War II, Australia had suffered much from the Japanese occupation. I found myself involved in fights because at that time there was a great resentment for Japanese. They always confused the Chinese for Japanese. Sometimes, I had to fight against people twice my size to stay alive. Many Southeast Asians also attended the university in Australia. At times, racial tension and cultural differences would result in violence. Fights would start up without warning. I had trouble with a few Thai boxers. They would call themselves “prize-fighters” — they fought for prizes, I fought for my life. The Thai’s were hard to fight because they seemed to have four hands. I wrote Bruce about these fighting experiences. I learned how to apply my wing chun against multicultural martial arts. Bruce told me if had any problems in Australia to come to the United States and study. He would take care of me. I returned to Hong Kong in 1964. One day, as I was ready to drive my car out of my parking space in the street, I saw someone toward my left window. I couldn’t see this person’s face. I thought that this person was loocking for trouble, and I opened the car door ready to fight. I then saw it was Bruce. I was so happy to see him, and just as I was about to say “Hello!” he said’ “Hawkins, stand here, I have something to show you.” Bruce stepped back two steps and suddenly charged in very quickly. I was surprised that his movement was so fast. Another surprise was that Bruce’s character hadn’t changed at all. He still wanted to be top dog. He still wanted to show off. If he liked you, he would always tell you what was on his mind. If he didn’t like you, he’d be very tricky to deal with. Bruce had that rare ability to draw your attention somewhere else. Sometimes you didn’t know what he was thinking. I was often suspicious if Bruce was too nice; it meant he wanted something or was about to take advantage of you. This character made people like him, and at the same time, made it easy for me to trick him. That was the first time I heard Bruce say that. There is a Chinese saying Called, “Bik fu tiu cheung,” meaning, “The cornered tiger has to jump over a wall.” It is the equivalent of saying, “Having no way out” in English. I realized that Bruce felt frustration in his martial arts training. Although Bruce was becoming Westernized, he still felt pride that he was Chinese and he never wanted to appear inferior when comparing Chinese gung-fu with other nations’ martial arts. Bruce continued: “I have to train very hard to beat my opponents. So I’ve come back to further my training in wing chun, and I hope to learn more of the dummy techniques from the old man (Yip Man). Hopefully, sifu will let me film him on 8mm so that I may show my students in the U.S.” Bruce said his acting career was beginning to take off. “By the way,” he noted, “I just signed a contract with 20th Century Fox to do a ‘Charlie Chan’ movie (it later turned out to be the “Green Hornet” series). I’m on my way to see the old man now.” I knew that when he wanted to accomplish a task, I’d better not get in his way, so I left. A few days later, Bruce gave a demonstration on a popular talk show on television. Bruce didn’t mention anything about wing chun, but referred to his art simply as “gung-fu.” I realized that something must have happened between Bruce and Yip Man. I knew Bruce’s character, and when he desired or wanted something accomplished, no one could stop him. If not, Bruce would go out on his own to get the job done. Bruce would then come back and show you and try to embarrass you. During 1966, a friend and I were involved in bringing Japanese karate to Hong Kong. I found myself having to change when sparring with the Japanese karate instructors; their attacks were very fast with emotionally charged quickness. They would attack and disappear as quickly as they came. Their punches were so quick that when I attempted to pak sao, they would retract their punch and I couldn’t connect. When I tried to step in, they would use a front kick. I found that defensively, I was fine, because they found it difficult to land on me. But when it came to attacking, I was unable to score. I became frustrated with this type of sport fighting. It differed from real fighting in that it emphasized skill, not just guts and endurance. I remembered what Bruce had said about his “opponents being fast, but he had to be faster; opponents being strong, and he having to being stronger.” Then I thought, these Japanese karate instructors train years to develop their speed and power. If I were to train as Bruce did, I would have to spend two or three times as much time to beat them at their own game. But I also had a limitation of power because of my size. If I sped up my wing chun straight punch, I found myself unable to reach my opponent because I was used to the wing chun back horse stance. And if I utilized karate’s front stance, I could reach my opponents, but in turn, I lost my wing chun structure. I found myself in a dilemma, as I would literally throw myself forward to reach my opponent. This may have worked well against a one-punch kill stylist, but I often wondered what would happen if I fought another gung-fu stylist or a street-fighter and they could take my best punch. If I managed to land my best punch and the opponent kept coming, I would certainly be in big trouble. I wanted to keep my wing chun structure. I asked myself how could I hold back or stop a bigger opponent charging at me without that structure? The structure was also important to handle combination-type fighters. I also asked myself what would happen when I get older and my speed and power have decreased? It would mean that I would have nothing when I’m old. I knew Bruce’s character. I knew he wanted to prove what he said was right and that he would prove it to wing chun people as well as the world, that he was top dog. Bruce would always change his way of fighting to improve himself to be the best. I never read his books or books that others wrote about him, but I would watch his application whenever I could in his real fights or as an actor in his movies. I found his martial arts to have two versions: one in real life and one in his movies. In real life, Bruce’s speed and power would scare his opponents and would prove what he called “jeet kune.” His movie version would show his showmanship with fancy movements to satisfy his fans. I didn’t see his “jeet kune” action in his movies. To my memory, Bruce explained that jeet kune do was the method of intercepting or cutting off an opponent’s action. So jeet kune do was the method of striking an opponent as the opponent attacked. The concept of intercepting or cutting is used in all systems of martial arts. if you don’t want to get hit, you’d better cut off or block an attack without running from or skipping away. Each style or person will demonstrate intercepting in a different manner. Bruce demonstrated in his personal attitude because of his emotional anger and hunger for winning character. He simply wanted to be the best and would accept nothing else. That is the trademark of Bruce’s style or action in entry. Only Bruce could do that. Bruce changed his methods for the job on hand, not for you or me. He became an expert in intercepting or cutting off an opponent’s attack. He had to continually train to prove what he said about “jeet kune.” If Bruce couldn’t intercept, he would have to take back the name “jeet kune do.” But he did prove it. He desired to keep the name “jeet kune do” while he was alive. Since he is now dead, it is up to his students to continue giving Bruce credit. The question is whether they can prove they can “jeet kune” for him and the public. To understand Bruce and his martial art, you have to look at his mother art, wing chun. Wing chun in the 1950s was a popular fighting system because of its reputation in challenge fights with other gung-fu Systems. Wing chun was noted for its simple, direct, economical movement and non-classical style. Many joined and wanted to learn how to fight. Because of the reputation of wing chun, Bruce and I joined. The thing about wing chun is once you start the first form, you feel frustrated. We questioned, “Why do we have to learn this? How can you fight like this?” Everyone wanted to learn the siu nim tao quickly, so they could move onto the sticking hands exercise. The dan chi sao (single sticking hand) exercise was no fun, so the younger students wanted to get through that even quicker. When you finally learned the double sticking hands exercise, we felt excited and thought, “I can fight now! I know wing chun now!” We liked to copy the seniors. If you could land a punch on your opponent, you felt very excited. “I can beat him now,” was our first thought. So everyone wanted to beat his partner first so he could be the top dog. Everyone also tried to please the seniors so they would teach us more tricks to beat up the guy you didn’t like or competed with. So students grouped together and created competition with another group. Each group thought it could beat the other. In my opinion, this is how wing chun politics began. Being 100-105 pounds, I had a hard time against opponents bigger than me. During this time I also tried to collect as many new tricks to beat my opponents. Once the opponent knew that trick, you had to find new tricks. When your opponent knew all your tricks, being a small guy, you were in trouble. The old saying of the, “Same game, same way, the bigger guy always wins” applies to every physical sport. Later, tricks became useless. I always got pushed out because of my limited power when it came to advanced sticking hands practice. I was very frustrated because the opponents knew my tricks and they were stronger than me. If I threw a punch, it was nothing to them; they could take the blow and throw a punch right back. I learned that sticking hands was very different from distance fighting. In distance fighting a lightweight could move faster than a heavyweight. My dilemma was that I was learning wing chun, not a system that emphasized distance fighting. I always got pushed out when I practiced chi sao with my bigger seniors. Everyone who learned wing chun always wanted to prove that they were better than the others. Most of the practitioners concentrated on the offensive side of sticking hands. They tried to learn how to first hit the Opponent. The practice became a sport fighting game. Whoever was stronger would win. Egos ran wild and every one wanted to be the best. There is a wing chun saying, “Don’t speak of who is senior or junior. The one who attains the skill first is the senior.” It meant that, “We don’t have seniors,” because we were better than the seniors. In wing chun we say we don’t have any seniors because we strove to become better than the seniors and even better than the founder. If you look at your art this way, you will certainly improve. During that period, I had a hard time. I thought of quitting a few times, until I finally went to the old man (grandmaster Yip Man). He always told me, “Relax! Relax! Don’t get excited!” But whenever I practiced chi sao with someone, it was hard to relax, especially when I got hit. I became angry when struck. I wanted to kill my opponent. The sticking hands game became a fight, with both parties getting hurt. The question was who got hurt more. Because I was smaller, I was the one who usually hurt more. When I saw Yip Man stick hands with others, he was very relaxed and talked to his partner. Sometimes he threw his partner out without having to hit him. When I stuck hands with Yip Man, I always felt my balance controlled by him when I attempted to strike. I was always off balance, with my toes or heels off the ground! I felt my hands rebound when I tried to strike him. It appeared as if Yip Man used my force to hit me. His movement was so slight, it seemed he didn’t do anything, not even extend his hand! When I was thrown back, it was very comfortable, not violent, yet I still could not see his techniques. When I asked him how he did it, he simply said’ “Like this!” as he demonstrated his extension of his hands, which was the same as practice. I saw Yip Man do this to other students, even the seniors. He never landed a blow on his students, but he would put a student in an awkward position and make the fellow students laugh at the sight. He was the funniest old man. I never once saw Yip Man take a step backward during chi sao. I thought to myself, this old man was my size and weight, how could he control his students so easily? So every time he played chi sao with a student, I kept watching his perfect wing chun body structure. Whenever he took a step forward, his opponent was thrown back. No matter how big the student was, Yip Man never exhibited a killing attitude. The students would swing his hands, and Yip Man would smile and merely control the movements. I really felt hopeless, so I asked sifu what should I do to further myself. He told me, “Why do you always want to be the same as the others? You know it won’t work, why don’t you change? Do the form more, don’t even play sticking hands for a while. Do the form slower.” I was confused; I wanted to learn wing chun to fight. I wanted new ways and new techniques. After all these years, Yip Man’s advice were these few words. I felt disappointed, yet I couldn’t argue with him. I had the choice to either drop out or do what he said. So I reviewed all the forms with him and he corrected them during private lessons. I did stick hands with him slowly. He just coached me and guided my hands like a baby sitter. In this manner, I learned the softer, defensive side of wing chun. Who could know Yip Man’s high skill? Yip Man could neutralize his opponent’s force or interrupt his opponent’s motion so that it never landed. If you take an analogy of a big car facing a small car, you can see that the driver of the small car doesn’t have much of a chance. The small car driver has to shut off the engine or interrupt the shift to first gear of the big-car driver. obviously, the big car can just run over a small car and destroy it. The question is how big is your car, and compared with whom? When Yip Man faced a larger opponent, his skill was so high that he would shut off his opponent’s engine or never let it start. When you’re old, you have to adapt this way to survive. With my small size, I had to learn this method. I had to be faster than my opponent’s fist or elbow’s extension. I had to see my opponent’s telegraphic body move or see his mind’s intent. Whether in close-range or distance fighting. I have to interrupt my opponent’s engine start or guide his intention elsewhere. Bruce didn’t learn this high level of skill. By Hong Kong standards, he was a big car. Everyone in wing chun has his opinion or politics. The politics arise when each speaks of the “best” method of entry or attack. The “best entry” or “best attack” is a product which a wing chun exponent chooses to buy. To a wing chun man, every attack is considered an “asking hand.” My fist is a question posed to you. If someone attacks and you solve the problem before it is initiated, how much politics are involved? Politics come from partiality, which is why I say that when wing chun is trained to a high level, there are no techniques. Who realized Yip Man’s skill? All my training brothers respected Yip Man because he never hurt them, nor were they skillful enough to hurt him. Yip Man’s skill in the 1950s was the epitome of sensitivity; he could immediately read his opponent’s intention. Wing chun is a mental, rather than physical martial art. The system was founded by a lady, and as a result, the art requires mental strategy and physical skill and timing. Wing chun requires that the mental be ahead of the physical. It is a system to develop skill, not a style. I’m not the best, but I know where I stand in this art. A good wing chun man should practice chi sao all the time. You can tell what sort of individuals you are dealing with, his character, his advantages or disadvantages. You can look at a fighter’s body and also determine if he is a boxer, kicker or wrestler through his muscle condition and by the characteristics of his movement. A fighter’s behavior also determines what sort of fighter you are facing. Of course, this is not 100 percent. When betting on a horse race, an experienced gambler will try to gather all the information he can get on a horse. He will look at a horse and check his statistics to make an intelligent decision. You learn to minimize your risk. This is what chi sao teaches you. When you do chi sao, you should not attack first, but rather try to collect as much information as you can on your opponent. Many wing chun practitioners want to attack first without gathering information. Attacking first is to give your opponent information on yourself. Sun Tzu advised us, “Know yourself, know your opponent, in 100 battles, a 100 victories.” The forms of wing chun are for you to know yourself; chi sao is the way to knowing others. Bruce changed his methods when he came to the U.S. Time and experience caused change, but he had help from wing chun, which hinted which direction to go. Just like my training brothers who express wing chun in their way, Bruce founded a method of teaching his version of wing chun in the U.S. Bruce used the offensive side of wing chun. Bruce said that he supposedly saw the “limitations of wing chun,” but the truth is that there is nothing wrong with wing chun. Wing chun is not a style, but a system of preparation for combat. Wing chun gives you the information to be one step ahead of your opponent. Wing chun is not better than other Systems of martial arts, but it offers a practitioner some unique advantages. No matter what style or system of martial arts, to defeat your opponent you must land your tools. I can fight using wing chun tools. But I express my own Hawkins Cheung style based on my experience. As a martial artist, one must stand on his own credit, not his master’s. When I teach wing chun tools to my students, I coach them to find which way best fits their character. Some students are very emotional, yet I can’t force them to relax. So I teach them the offensive way of wing chun. When the skill in offensive attacks becomes better and they feel they are not improving and become frustrated, they automatically come to me. They ask how to handle this guy or the others. To me, this means they really want to learn. I explain to them that they should relax and pay attention to the defensive side of wing chun. Once the feeling in their hands and body is automatic, I let them go on their own to find a higher level. If the students continue asking questions, it means they haven’t yet developed the feeling of that movement. They want my help and I do all that I can to help them. Wing chun is very simple to learn. The system contains only three forms, a dummy set, the 6 1/2-point staff and the double knives set. It is also very easy to teach. The question is if you have tested it out yourself. Can you use the skills in application? Have you forgotten how many fights or whom you have fought before? Each style of martial arts are defensive, so you use what is useful and reject what is useless for the particular stylist. You have to find what is useful for your style of fighting. It may be useless to other stylists, but you have to change the order of using your wing chun tools according to circumstances. In my wing chun concept, I like the opponent to start first. I will initiate my timing from my opponent’s start. To my experience, this movement is a trap. When you approach me indirectly, you must have a reason why. I have to first discover your intentions. I just wait calmly. My mind becomes a “referee.” To wait is better than changing. l listen to your own music or rhythm. I pay no attention, and that means that my emotions are not involved in fighting. The big question is when to start. Of course, this takes time to develop. Wing chun started Bruce on his way. It was the wing chun concepts that he still retained to allow him to customize his personal system of martial arts that he referred to as “Jun Fan.” Wing chun was the gun that Yip Man gave us; the frustrating part was that you had to learn how to aim and shoot. The problem was your target always moved, you couldn’t get a fix on it. Wing chun is a problem solving art. You can say that Bruce and I were given a problem from the “old man” to solve. In fact, the “old man” didn’t explain things unless he saw you work for it. Every martial arts student has to solve the problem of applying the physical portion. All martial arts styles tend to be theoretical in application. Bruce may have abandoned some wing chun tools’ but he didn’t abandon wing chun development. He changed the art for himself, not for you or me. Bruce used the concept of intercepting and “modified the gun” for his own needs. I kept the traditional gun and made it work for me. Yip Man posed the question, it was up to us to solve the problems. Bruce and I sought for practical application combined with the conceptual. You can say there was a parallel development between us through the years. In my wing chun concept, I will say that Bruce had weaknesses. If I faced him, I would try to read his intentions. I would allow Bruce to start his broken rhythm, making his rhythm his starting point. At that time, his feet were off the ground I would rush in with a surprise attack. Rushing in is faster than Bruce’s rhythm. With rushing in, I can break his mind’s rhythm, or blank out his mind in a second. I can then follow up with consecutive strikes. I would give him back a problem to solve. The question is whether your “rush-in” timing was quick enough. There were some tricks we played all the time when we were teenagers looking for a fight. When we would find a “target, “we would just walk up and say, “Hey! I’m talking to you!” or we would go up and touch or pull him. We would make our victim pay attention. If the guy was hot-tempered, he would try to hit us or push our hand away. Once the guy started, we would initiate our timing from his move. If the guy got hurt, we would say, “What’s the matter with you? I was just talking to you, and you tried to hit me first Mr. Chan (fictitious name we made upon the spot)?” The target would say, “I’m not Mr. Chan!” To which we would reply, “We thought you were Mr. Chan and are very sorry we made a mistake!” If our target didn’t pay attention to us, we would curse his mother or sister. We tried to infuriate our unwilling adversary so we could resume the fight. We were real bad guys! The objective was to force the opponent’s starting point – We would do or say anything to initiate the fight. Bruce even carried this trick in his movie, Return of the Dragon. In the fight scene with Chuck Norris, Bruce would speed up his footwork rhythm. Norris began to follow the same rhythm then Bruce would finish Norris in the end. Many of Bruce’s students refer to what he taught as a “modified version of wing chun” But Bruce’s term, “modify is equivalent to wing chun’s “feeling” or “sensitivity.” Wing chun feeling is to allow modification, to change for the sake of survival. There is no such thing as modified wing chun; a good wing chun practitioner constantly modifies his art based on feeling. Wing chun is a flexible art that allows you to change based upon your feeling. When Bruce borrowed other tools, the way he displayed them made their essence different because Bruce couldn’t discard the reflexes he developed from wing chun. The essence he displayed almost always had retained a wing chun flavor. Bruce’s followers today don’t demonstrate the attributes Bruce displayed and developed over the years. Bruce used the wing chun methods of start timing, spring energy, sensitivity (through the practice of chi sao) and ging (penetration power). Bruce couldn’t teach the feeling of his art. Just like Olympic sprinter Carl Lewis trying to teach someone how to get off the starting blocks faster, it was a matter of feeling, not mechanics or tools. Bruce’s speed was a result of the wing chun training he practiced for so long. In wing chun, there is a quality that we refer to as “start timing.” It is the ability to start quickly and differs from someone who has fast hands or feet. Start timing is what made him fast. It is not an emotional type of speed. It was Bruce’s use of start timing that made him so fast. The secret to Bruce’s speed and power was that he combined both physical and mental power. Bruce was an expert in mental intimidation. Bruce demonstrated his emotional anger and hunger for wining character in every tool he delivered. When I asked him how he could get so fast, he explained that he would use his emotional content to speed up his techniques. This was a big departure from wing chun in that the wing chun mind is supposed to be centered and calm. I remember when we practiced wing chun together as teenagers. Whenever Yip Man taught us new techniques, we would test it out. If it didn’t feel right, we would go back to sifu again, and ask him to show us the technique. One of us would watch his hands, the other would watch his body mechanics. We would then exchange what we observed and put it together. We would go around asking our seniors, too. Bruce and I did the same with them. One would watch the technique, the other the body mechanics. We would ask the seniors who was right or wrong, and how we could correct the movements. We got used to watching the detail in a person’s body mechanics rather than technique. Good or bad techniques were based on good or bad body mechanics or structure. This is the way Bruce and I stole other styles’ techniques, analyzed them and even did it better than the person showing us. Anyone who knew Bruce knew that he had this ability. Bruce would steal others’ techniques, yet because of his “gorilla” upper body and his forearm strength (in wing chun, we call this long bridge arm power, meaning that the power is issued from the forearm down instead of from the body), his punch would have two kinds of power: one from the long bridge force and the other from his body rotation power (body rotation power is what boxers use the most). That is why whatever style or technique that Bruce would steal, he could perform better than the original. His forearm power is what he developed from wing chun through years of training. This is why I say that his followers don’t have what he had. I recall when we would chi sao, Bruce’s arms were very strong. He would just extend his arms and you could feel his power. But I knew his lower body part was weak, and I would pull his arm while he extended, and would pull him off balance. He would have to stop his extension to save his balance. I usually used this method to stop his continuous attacks. That was Bruce’s weak point. In the wing chun system, whenever we want to attack, the legs have to step out before you extend your arm or punch, so you won’t lose your balance. If your arm gets interrupted by your opponent’s pressure or power, you can still continue your attack because you body equalizes the pressure placed on you. You can still continue to extend your arm or punch while being intercepted. This is how a good wing chun man can use the power twice in one motion, rather than having to reload the power. You reload by extending the punch. Because of Bruce’s poor body structure, he was easy to throw off balance. It was also disadvantageous for him if he came up against a larger opponent that would jam him when Bruce punched or extended his arm during sticking hands. Maybe this is what made him give up the wing chun structure. No one could touch his hands while Bruce engaged in a long distance fight. His upper torso strength and body rotation method would create devastating power. It was smart for him to use these attributes to his advantage. In the U.S. Bruce would not fight against wing chun men, so no one knew his weak points! Bruce’s thin legs put all his energy in his upper torso. This gave him an advantage of quickly moving his legs. It also made him a good dancer when we were younger. Bruce enhanced his leg techniques by learning two months of northern style kung-fu high kicks before he came to the U.S. Good kickers require the energy to be in the upper torso, so Bruce had natural advantages when it came to kicking fast and with timing. This was his advantage in kicking and his disadvantage in wing chun structure. Despite Bruce’s advanced level in the martial arts, he was still a wing chun man. He expounded the use of the centerline principle, as well as simple, direct, non-telegraphic and economical motions. And although he may have borrowed tools from other martial arts systems, he used the techniques to conform to the wing chun way. For example, when Bruce used the wing chun straight punch, he started from the middle, with his elbows down. Although he may have used a northern shaolin side kick, he still issued power with a stomp as a wing chin man. He would stomp into his opponent. His best techniques were his straight punch and side kick. His front and hook kick were fast, but they didn’t have the killing power of his straight punch or side kick. Consequently, he used those tools the most to express his JKD. When Bruce demonstrated his skill with the kali sticks, you can still see his upright wing chun structure. As previously mentioned, Bruce had the skill to copy anyone’s hand techniques quicker and better than anyone. When Bruce broke away from wing chun and his classical Jun Fan system, he pursued his own non-classical, personal style. Because Bruce studied wing chun so long, he made his tools into a wing chun product, which is why I say his students don’t have his tools and attributes. To wing chun people, we feel that Bruce is not complete. 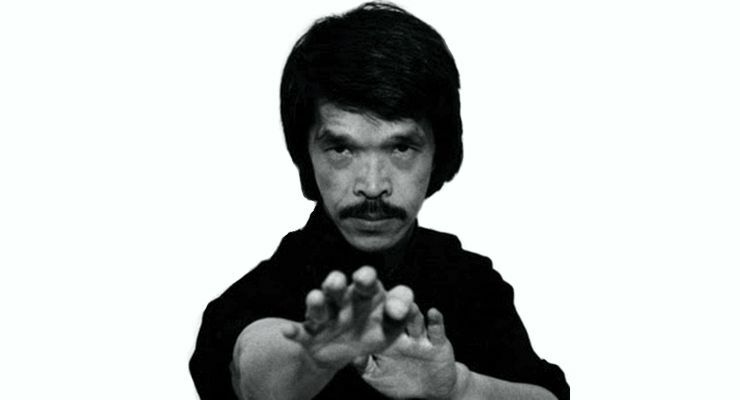 Wing chun stresses ambidexterity, where as in Bruce’s art, it favors the lead hand. Bruce’s students are also approaching his art in the wrong manner. Jeet kune do was supposed to be non-classical, but now it has become classical. The practitioners fear to create and would rather obey the dictates of the style. Take the finger jab that Bruce taught. Bruce’s students don’t have the practical application. if it hasn’t been developed or used in application, it is useless. Wing chun backs up its practical application with its sticking hands exercise and uses the partner as a dummy. You have to test your application in practice. I feel that jeet kune do is stepping backward, because of the lack of feel in fighting. Wing chun’s energy is on the legs more than the upper body. Because the wing chun hands are used to feel the opponent’s hands and read his intentions, the hands must be soft. It is analogous to a baseball catcher. You have to be soft to hold up and receive the incoming pressure. You must feel comfortable. The legs are used to throw the whole body forward, like a hammer striking a nail (a “nail” is your tool striking your opponent). This is what is called the wing chun structure power. If we use the analogy of a hammer and nail, the nail must be positioned in the center of the hammer, other wise your nail will be broken or bent crooked while the hammer hits It. In wing chun, this means the hand is jammed or has no power transference. A good wing chun man first aligns the nail to the target, while the target waits to move. The hammer then follows up. if you think of this, you will see that Bruce gave up the wing chun structure, but wing chun trained his arms to issue power. Bruce’s advantages were in distance fighting, and he extended his advantage to a high level. When Bruce stated traditional martial arts are classical, it was because he was free from the classical. He had a hard time before he mastered the martial arts. Without wing chun, he wouldn’t be able to find out his advantage or disadvantage. He didn’t have to create a style, he could express whatever he wanted. Bruce was like the fastest gunslinger, he could kill you in a second, or he could kill you in ten minutes. In the first nine minutes and 59 seconds, he could demonstrate as many fancy motions as he wanted, as long as no one knew his weak points. Sometimes in my classes’ I demonstrate Bruce’s teachings, too. It is fun. Jeet kune do was Bruce’s finger pointing to the moon. Jeet kune do was a goal for which to aspire. Even Bruce couldn’t express jeet kune do all the time. The term “jeet kune do” was created too early. He regretted the term “JKD” in the end, as he couldn’t express the intercepting fist every time. Jun Fan gung-fu was his wing chun. Any of his followers knew that when Bruce taught chi sao (sticking hands, a wing chun sensitivity exercise), he would put his right foot forward. I knew that he tried to cover up his chi sao weakness, which is why he placed his right foot in front. Bruce wouldn’t tell you his weakness, he would tell you something else to cover up his weakness. In distance fighting, Bruce did what we wing chun men do: we put our best side forward. Bruce meant for his chi sao to be right side leading for long-distance fighting. It means that Bruce’s chi sao is meaningless. He would expose his weakness on his left side, whereas his deadly weapon was his right side. Being friends, I knew his character. Bruce wanted to be the best, and it was his personality that drove him to be the best and come up with his own method. Bruce and I were convinced that offense was the best defense. With my fighting experience and background, I could check and compare his standard. From knowing Bruce and training with him every day for years, I could just about read his mind. In the early 1960s, he was a young, ambitious Chinese gung-fu guy in America against the Japanese- or Korean-trained martial artists. Because of racial tension and being the only Chinese gung-fu guy around, he kept his beloved wing chun gung-fu and was hungry to learn more. He changed the wing chun fighting stance to look a bit more like the karate cat stance to deliver a front kick on am his opponent as part of a counterattack. The purpose of his changing the stance and structure was to handle the one-punch kill attitude. Bruce wanted to prove that gung-fu guys could fight, too. Because of Bruce’s limited knowledge of wing chun, he was forced to use other tools. He created his own classical system called Jun Fan. For his students to attain his level, they have to become free from Jun Fan. Bruce realized jeet kune do when he was finally free from Jun Fan and wing chun rules. He changed to fit into U.S. martial arts, not Asian martial arts. If we use the analogy that wing chun is a car, if you learn to drive in Hong Kong or in the U.S., the rules are different. You have to change and modify your experience to fit your environment. Bruce drove the wing chun car in the U.S. to suit the American way. His Jun Fan is a product of wing chun for America. Jun Fan is not jeet kune do, and Bruce’s followers have the classical Bruce Lee martial art Jun Fan, not jeet kune do. Jeet kune do is a goal for which to aspire. If any of Bruce’s followers intercept in every move, then they are expressing jeet kune do. Jeet kune do was Bruce’s gift to the world’s martial artists. Jeet kune do is just one of the concepts of wing chun. He experimented, did research and development for American martial arts. Just as Wong Shun Leung’s fighting experience is geared toward fighting against gung-fu guys, we all had to develop our own product. We all had to become free from wing chun to master it. If Wong were in the U.S., he too would have to change. Wing chun is frustrating to its practitioners because the system tells you to create your own product. There are no fighting forms in wing chun. The kata or forms of other styles are a product. How many products can one produce with wing chun? A product is partial. Each wing chun practitioner has to make his own product with his two hands, sticking, changing and coordinating. To create a new product, you go back to the center. Your mind must be centered to absorb a new product. Although Bruce and his personal art are gone, Bruce managed to pass on his knowledge to the whole world, not just his followers. He never passed on his tools, but he passed on the concept. The tools were like a boat designed to cross a river; once you get to the other side, don’t carry the boat. Maybe there can be another “Bruce Lee” someday if they can follow the example he set in training, research and application. Bruce wanted the world to know that you should find out what fits.